Please contact the Webmaister if you can put a name to a face or have a tale to tell about this class. May 2005, photo sent to me from James Stewart, England. "........school photo Rivvi class of 1960, My brother William Stewart mid row 2nd from left..."
".......the guy 7th from the left on the top row is my late brother, David Smith." 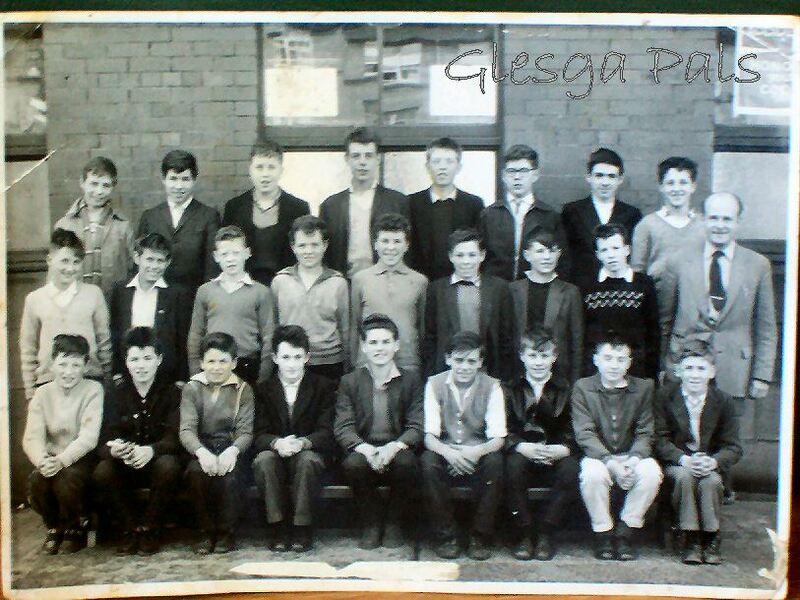 " ..in the school photo of Riverside 1960A, there are two boys who were in my class at Primary school. I would be obliged if you could add their names. Back Row 4th from left - William McSeveney Middle Row 4th from left - James Martin "
top row 2 Andy Mcdonald, 8 John Cullan. 2nd row 1 Alec Mcgreor, 6 Alec McPhee. front row 2 James Manson, 4 Alan Mcintyre, 9 Edward Walton ( ma old father in law ).